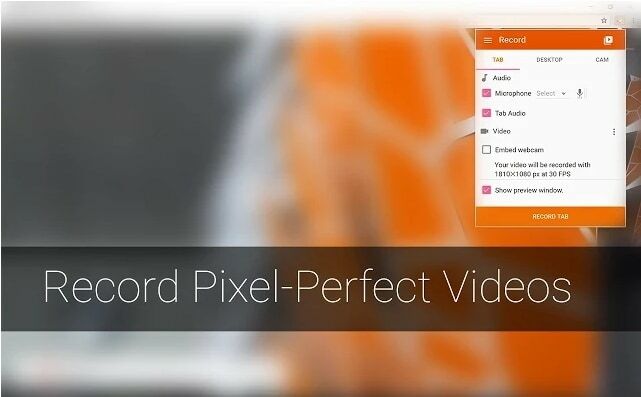 Capture and edit stunning videos in an all-in-one recorder for Chrome. For a very long period of time, this was the only Holy Grail of the functionality of a Chromebook. This was just one thing which scores of PC users who want to do but cannot, for the reason that a Chromebook does not support the Java plugin which is needed by famous screencasting tools that are available out there. On the other hand, everything has changed and there are now different options made available for people who require a screen recorder for Chromebook. These options are various platforms that are specifically designed to make screencasting possible when using a Chromebook. It is the right time for you to get ready in knowing what these choices are and how you will be able to benefit from using them. Some of these options might be available for free while others can be obtained after spending some cash. So you should please read on. Screencastify is an ordinary video screen capture software program for Chrome. It offers you the simplest way of recording, editing, annotating, storing and sharing video screen captures. You can use a particular tab or the entire desktop within just a touch on the button and your entire experience will be synced with the G-suite. You can also try the lite version of this software for free. The lite edition of this platform limits the recording time to just ten minutes for every video. It comes with a watermark and using this, you can make as much as fifty videos every month. There were turned off features such as mp4 export as well as editing tools. Also, Screencastify is available in premium version that permits infinite recording time, no watermark, GIF and MP4 export capability together with some other basic trimming or editing features which aren’t included in its lite version. With its premium version, you would be getting the priority support. 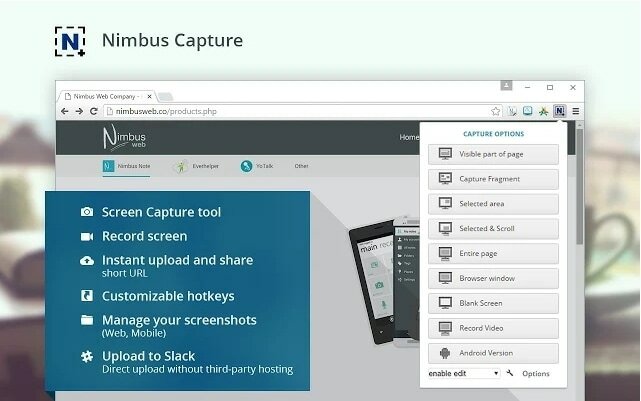 Nimbus Screenshot and Screencast can be used to screen capture the entire web page or any portion of it. 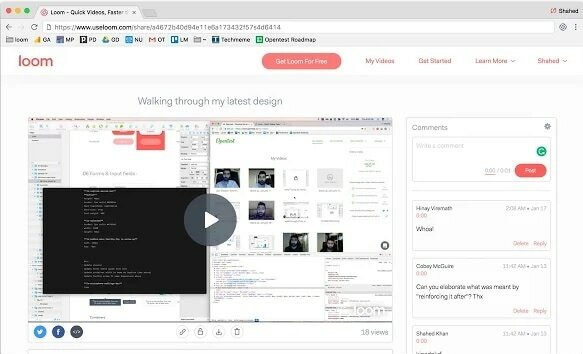 You can edit screenshots and record screencasts and record video straight from your monitor. You can capture the web page whether a portion of it or the entire window of your browser. You can also edit the screenshots in an extremely user-friendly interface. This will be an excellent replacement for “exceptional screenshot capture and annotate” app or extension. Nimbus Screenshot and Screencast can be used for capturing the entire page or the needed section. Also, it is useful for capturing the entire window of the browser, and then for	capturing the browser window of some other programs. Openvid Screen Recorder is the free extension for Chrome and a service that you can avail for recording videos of your browser tabs, webcam, application windows, desktop and a combination of these, optionally with the narration through your microphone. The process of capturing is straightforward and simple. You just need to hit the Openvid button and then select what you are recording. There is a short countdown and you are off. You can postpone as well as resume capture as needed and then tap the button for the second time once you are done. Your video has been hosted on the site of Openvid and it will be ready for sharing. The extension will automatically copy the URL to the clipboard. Paste this on the message or email and it will be made available for viewing. Alternatively, the website could generate the embed code so you can add the video on your website and you will also be capable of downloading it in the form of a MP4 file. There are some major issues associated with this platform, though. Initially the videos are all limited to five minutes in terms of length and they will just be available for twenty four hours after the recording. But when you could obtain 2 other people and you are able to persuade them to sign up for free, you would be able to obtain limitless recording time & video access. Record your screen in just one click. You will also be able to trace who watches the video and using it is 100% free. It breaks down the communication barriers through permitting you to just communicate with anybody through video. 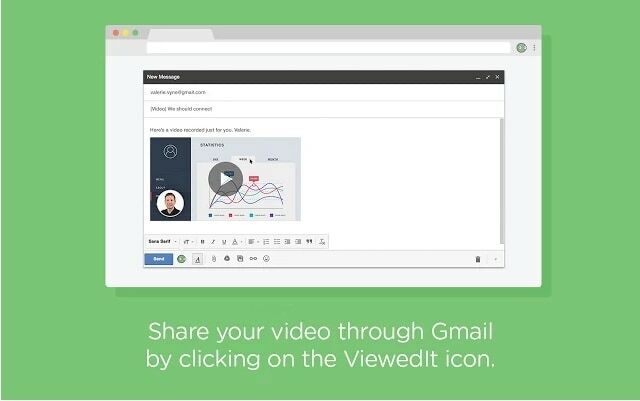 To make it as simple as talking to someone and you will get one-click screen recording, simple video sharing in social and email and notifications if people view your videos. These are the leading screen recorder extensions for Chrome. You could try them now for free and see which option best fits with your requirements. On Chromebook, you can also use some free online screen recorders. We have already collected some best free and paid online screen recorders that you can use currently on the market, you can check Best Online Screen Recorders to learn more. If you want to enjoy a better recording experience on Windows and Mac, Filmora scrn is waiting for you. You can record the desktop screen, gameplay videos, audios and webcam with Filmora Scrn easily.